TweetStats is an easy-to-use web app that aggregates individual twitter information into usage graphs and word clouds. If you're a twitter user you should definitely check it out, it's really interesting. 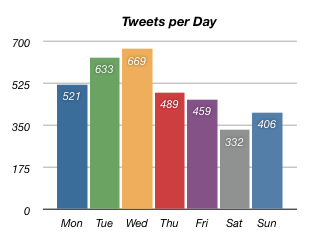 Apparently I tweet the most on Fridays at 9pm.